These little guys are small, compact and comfy. 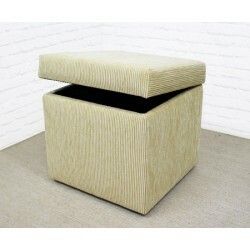 They have a simple yet timeless design and look great in fabric or leather. 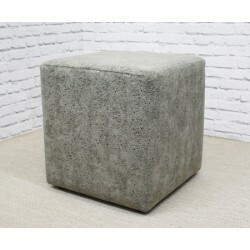 Footstool cubes make ideal extra seating for when you have guests and come in three main sizes 14, 16 or 18 inches square. 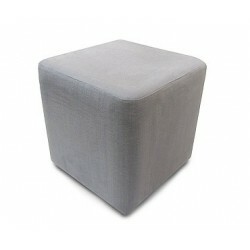 Just like our drum stools, cube footstools are very versatile and can be used in any room. 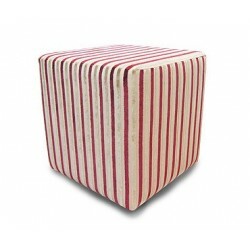 In a kitchen a drum stool can be an extra seat at the dining table, in the bathroom to sit on whilst your bathing children, in a conservatory or near a window as a window seat, or in a bedroom to sit and pull your socks on. 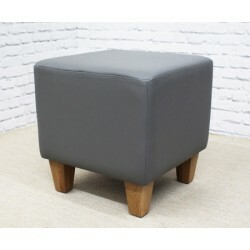 Our cube footstools are very strong but light enough to move around the home and are built using a rigid wooden frame, and are glued & stapled. 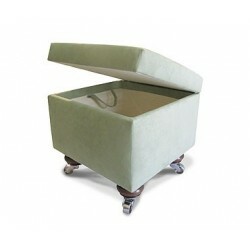 We then wrap them with soft foam and and your chosen fabric or leather, all fire retardant & upholstered to perfection. 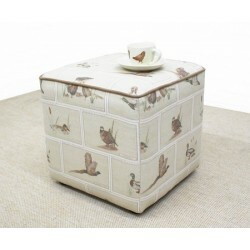 If you like the look of our storage cube and fancy some added storage then this is for you. 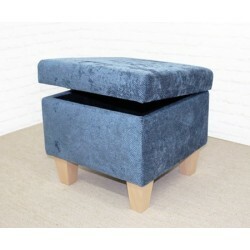 A very versatile and compact piece of furniture, ideal for a smaller home or apartment where extra storage is needed. 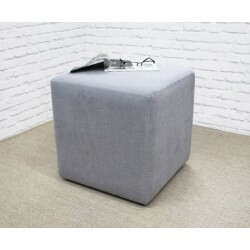 Our storage cubes are also very handy next to a sofa to keep magazines, books, a laptop, remotes, stationery and more. If you have children, extra space for toys is always a bonus and we can use some fantastic children's fabrics. 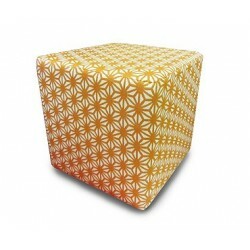 If you like the style of the cube, with its clean simple lines you might fancy a double or even triple cube. 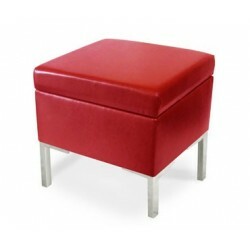 These longer versions are great as a comfortable seat, footstool or table for books, magazines or a laptop. 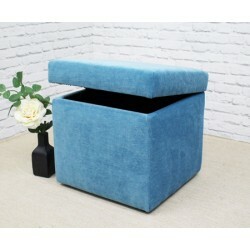 Again, these are also available with storage, which can free up space in a living room, bedroom, play room or conservatory. 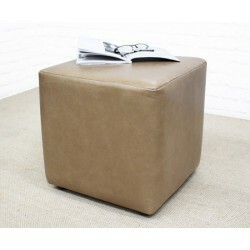 We are pretty proud of our leathers, and the leather footstool cube is a classic, and a very popular choice. 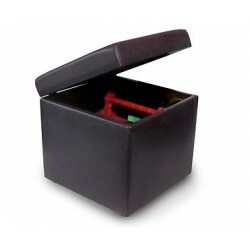 Leather cubes can compliment plain, floral or patterned fabric and it's a great way to get some leather into your life! 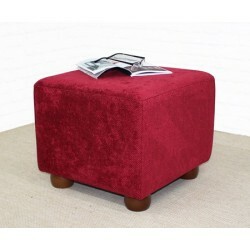 A leather footstool or pouffe is also very hard wearing and wipeable - ideal for parties, families with children or pets. 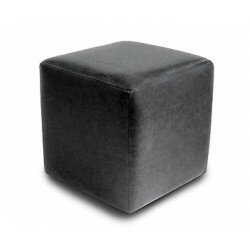 Don't forget if you'd like to see some samples before you buy a leather footstool cube then see our swatches section for more information or if you have any questions please contact us.